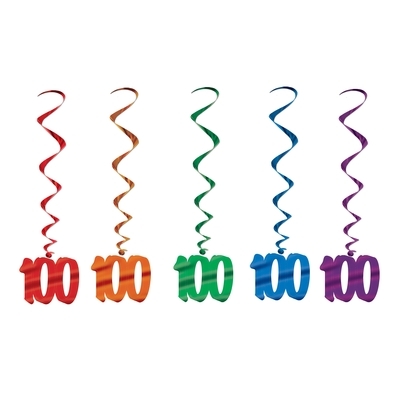 A pack of 12 brightly coloured separate 100's to decorate doors, walls, glass or tables for 100th birthday parties. 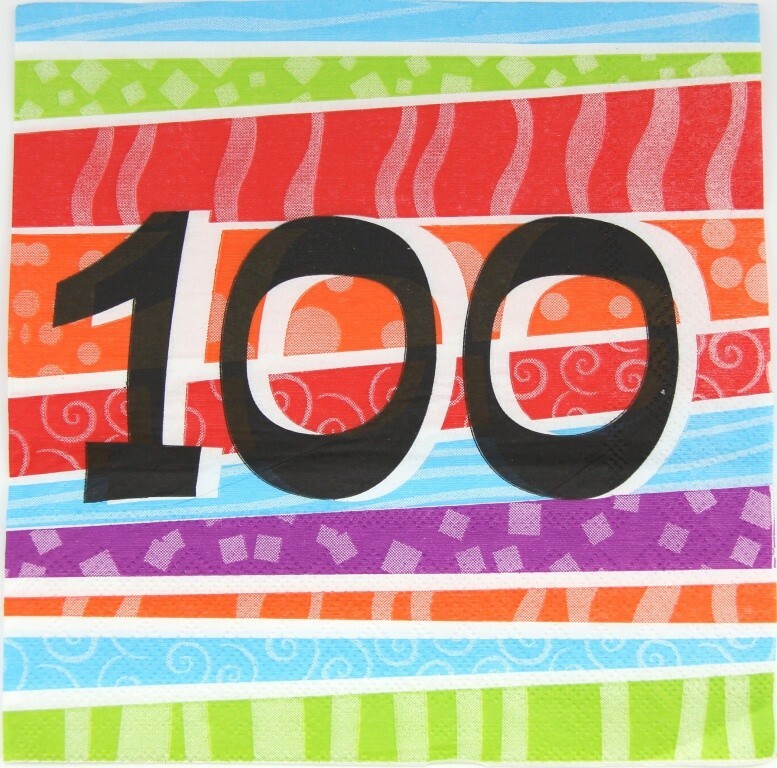 A pack of 25 x 100th birthday napkins with red, purple, blue & green colourful stripes in the background with the number '100' in black in the foreground. 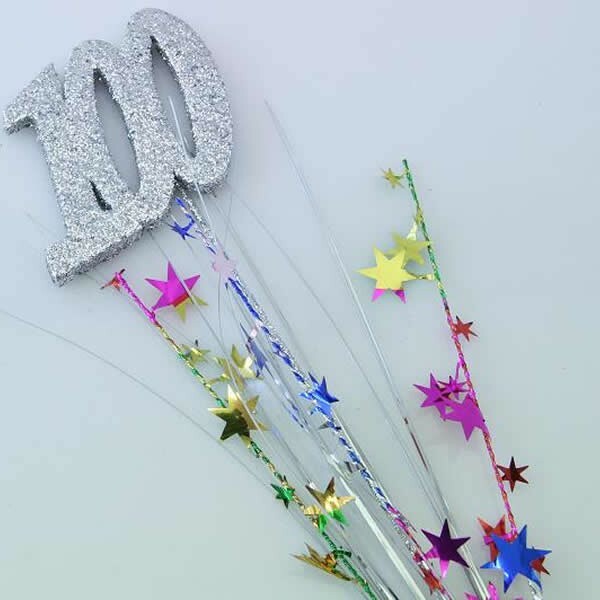 A 100th birthday party decoration to put in the centre of the birthday table, with a silver '100' glittered number and wired stars and onion grass surrounding the 100. 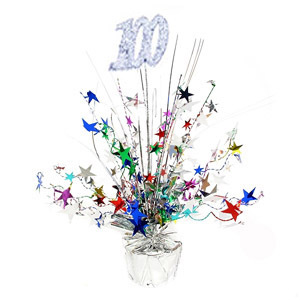 This weighted table centre piece can be used as a balloon weight or stand alone. 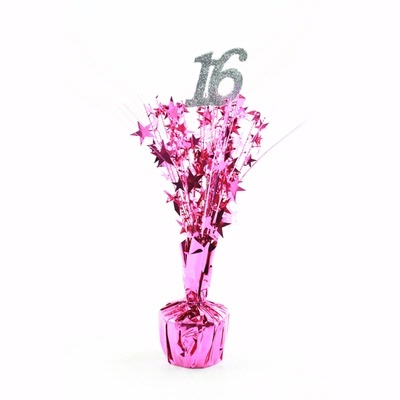 Hanging Decoration Sweet 16 Swirls Sparkle (60cm) - Pack of 5. 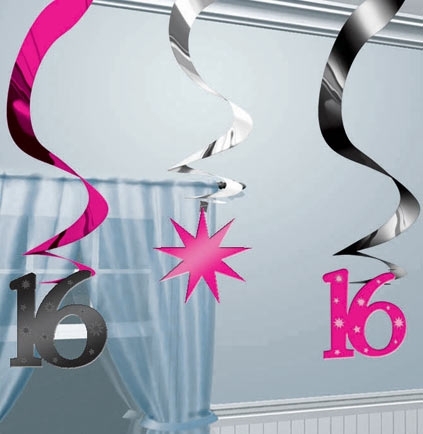 This hanging swirl decoration comes in black, silver and magenta- really pretty decoration for a 16th birthday party. A 16th birthday rosette bright pink with '16' in silver diamantes for the birthday person to wear. Bell '18' Glass Beer Mug in a cool new design. 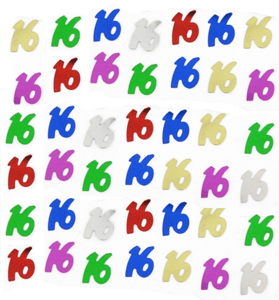 Very popular range. 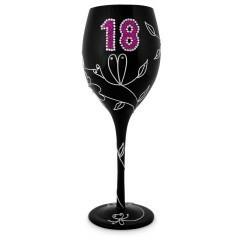 This Beer mug comes with black bell attached � ring it when it's time for a new drink. 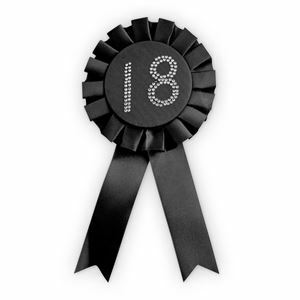 Size: 140mm tall. Packaging: Colour box. 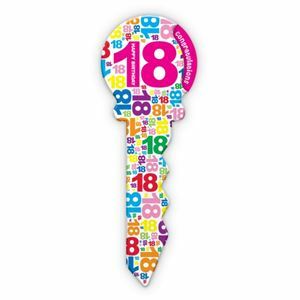 A '18th' birthday party key in a wood style that can be signed on the inside pages as a keepsake. 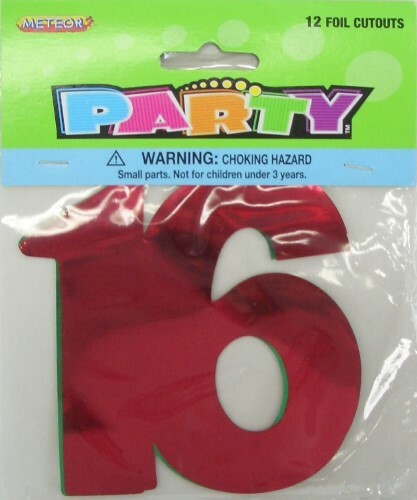 Available in Pink/White. 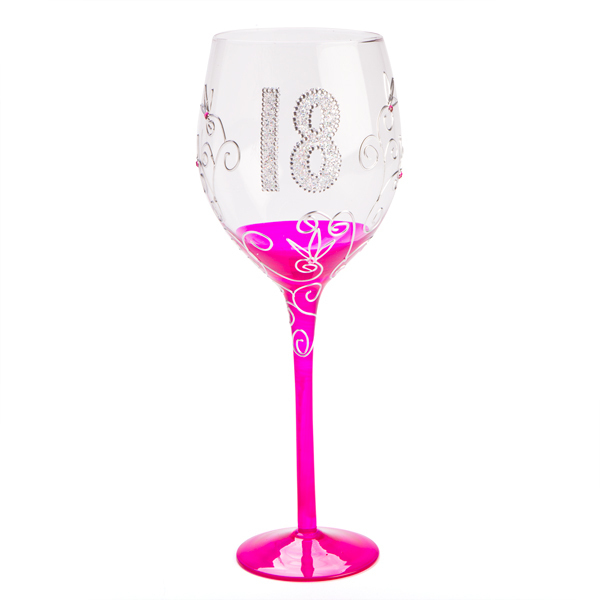 Size: 44cm long x 17cm wide approx. 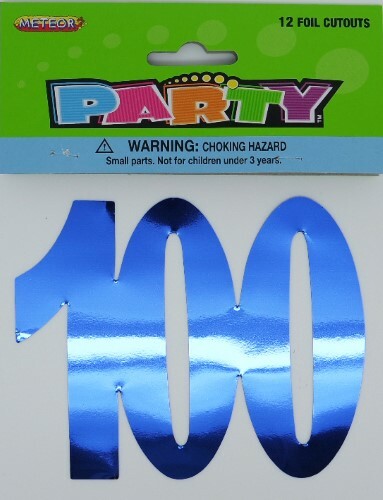 Available online or instore at our party shop in Narrabeen on the Northern Beaches of Sydney. 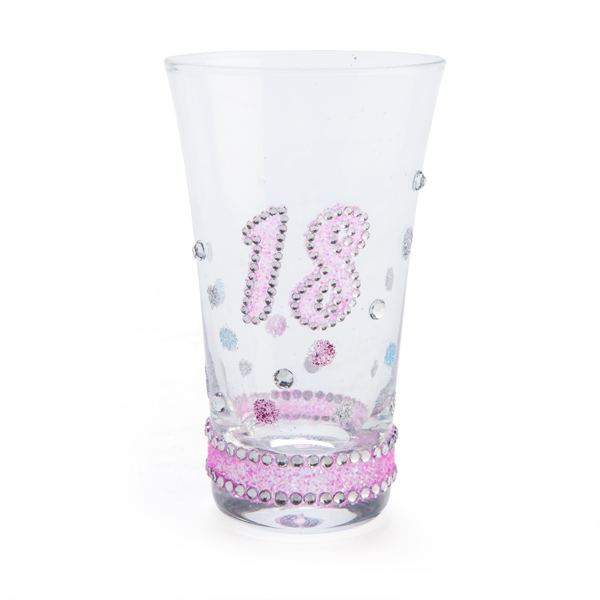 A beautiful clear 18th birthday party shot glass with pink base and silver and pink diamontes around the glass with a pink & silver glitter '18'. 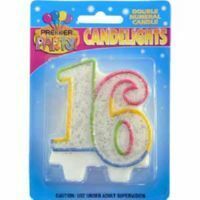 Comes in a clear plastic gift box. 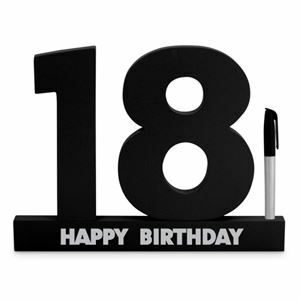 9cm tall.